Take heart, Conservative voters! In this final weekend before Election Day, the conclusion of the longest election campaign in Canadian history, the pollsters are once again coronating the selfie-loving clown Justin Trudeau as our next Prime Minister. 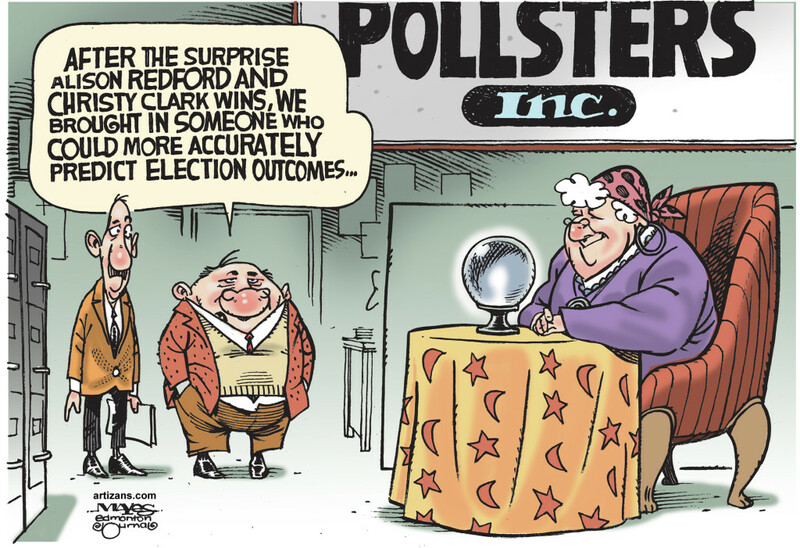 But the pollsters are not always right – in fact, sometimes they are both incorrect and actually guilty of attempting to rig the election results. In what seems like a constant occurrence lately, we hear of election after election where a small or big “C” conservative in power didn’t have a snowball’s chance in Hell of winning his/her seat. Yet on election night, this candidate has some massive revival amongst voters, and end up winning some nonsensically unbalanced, TKO, majority-seat victory, much to the shock and horror of the pollsters, and the media outlets depending on their data to be accurate. We could understand it if the win fell inside of the +/- for that survey or exit poll – but they don’t. 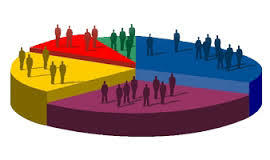 Often it’s so blatantly obvious that the pollsters and pundits are attempting to hijack the election, get the leftist candidate in of their choice, while discounting the opposing candidates. What question did they ask? Was it a leading question – for example, “Albertans are notorious red necks. John Doe (Conservative) is an Albertan. Do you think John Doe shares your values?” Many might say “no, he sure doesn’t”, assuming he’s a redneck from the leading question – even though John Doe has 6 university degrees and only dressed up once as a redneck…for Hallowe’en. That particular poll respondent is also obviously completely out of touch with who John Doe is – especially if all they know of him they learned from the pollster’s question! Where did the polling take place? For example, if you wanted to push for Liberals to look good, do all the phone survey work in traditionally Liberal ridings. Don’t tell me that doesn’t happen, because it often does. Damaged professional ethics and possible illegalities aside, the pollsters who participate in these hijinks apparently don’t have any self-respect or pride in their career path, or they would try to be as accurate as possible. And why is it that they only seem to be REALLY wrong when the person happens to be a conservative? While doing the Sunday talk show circuit, commentators and left-wing political “experts” (aka operatives for the Democrats in the U.S or Liberals / NDP in Canada) will official crown their candidate the heir apparent, and soon thereafter give the polling numbers that clearly back up their original hypothesis. Sounds logical at first. Then comes Election Day – and all day long the same looney left dipsticks fill the 24-hour news cycle with “exit polling” to confirm again their anointed one is set to win. Who exactly did they poll and where? Then the polls close, and we learn (much to NO ONE’s surprise but these ‘experts’) the main conservative contender wiped them off the map – again, usually a small or big “C” conservative. Harper, Trudeau or Mulcair – who will lead now? The Canadian federal election is tomorrow – Monday, October 19. It has been a very long campaign – so long in fact, that both Justin Trudeau (Liberal – twice in fact!) and Thomas Mulcair (NDP) have been anointed the new Prime Minister of Canada, even though their polling data showed that the Conservatives were in fact ahead of both parties at the time. Don’t let the pollsters discourage you from voting. Yes, they have Justin Trudeau 6 points ahead – and it suspiciously came out of nowhere. This is the same guy that a month ago was trailing in 3rd place. What exactly has he said or done in the last few months to look better, sound better, or be better as a leader. NOTHING. So once again, they are using polling method foolishness to try to rig an election and get a win for their guy. I am praying, as are many people, that Canadians are not stupid enough to vote for Justin Trudeau’s party. He is a mindless bimbo who keeps putting his foot in his mouth everywhere he goes. He doesn’t deserve to be Prime Minister because people like his hair, or because his dad was. 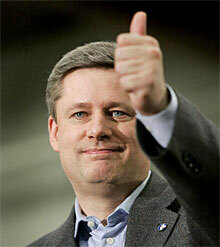 Only the most qualified should lead, and that will continue to be Prime Minister Stephen Harper. Now, pollsters are pulling out this nonsense that the vast majority of people in Canada want “change”. I’d like to see the question that was asked for that one – as I don’t believe Canadians are bored with success. Desperate for a win, the Liberals and NDP even manufactured a recession at the beginning of the campaign, which quickly blew up in their faces. These leftwing jackasses will do anything to try to win. You must not let them. DO not stay home voteless on election day – it could be Canada’s most important election. The future of our nation depends on you. On Monday, VOTE CONSERVATIVE. Pathetic Polling #2 – David Cameron’s….Demise?